Septimus Heap is the main character in a series of young adult fantasy novels by British novelist Angie Sage. Septimus is the seventh son whose father was also a seventh son. He possesses magical powers and becomes apprentice to the arch wizard Marcia Overstrand. He must study underneath Overstrand for seven years and a day before graduating. 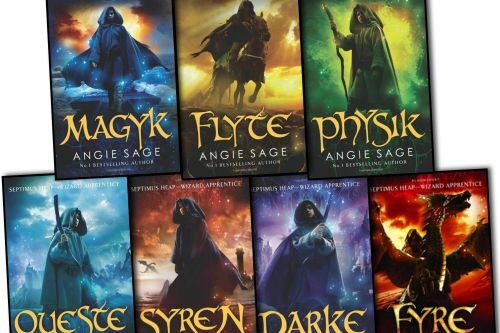 Septimus Heap Synopsis: Magyk is the first novel in Angie Sage’s Septimus Heap series. Septimus Heap, the seventh son of the seventh son, disappears immediately after birth and midwife pronounces him dead. Later that same night, his father Silas finds a newborn girl with violet eyes who has been abandoned in the snow. Who is this baby girl, where did she come from and what happened to Septimus?